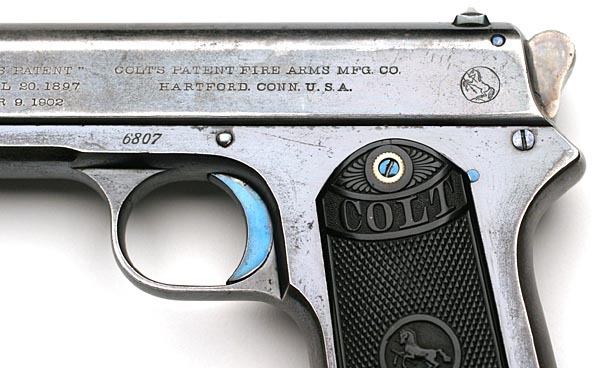 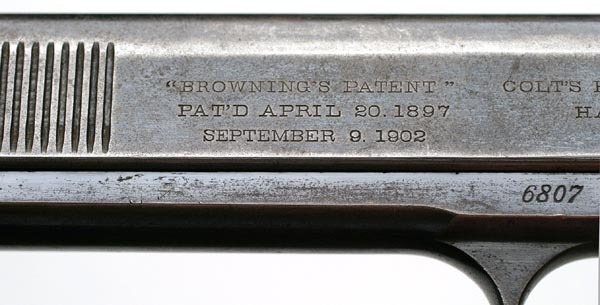 Early Colt Model 1902 Sporting Model - This gun has the early milled front slide serrations and Browning's Patent marking on the left side of the slide. 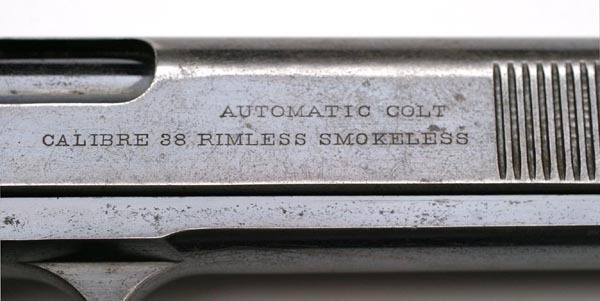 During this period of production, guns with odd numbered serial numbers were fitted with rounded hammers and guns with even numbered serial numbers were fitted with spur hammers. 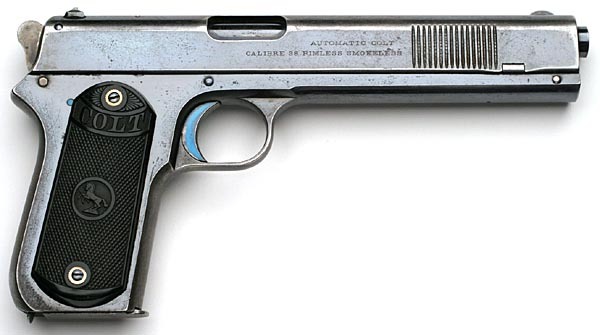 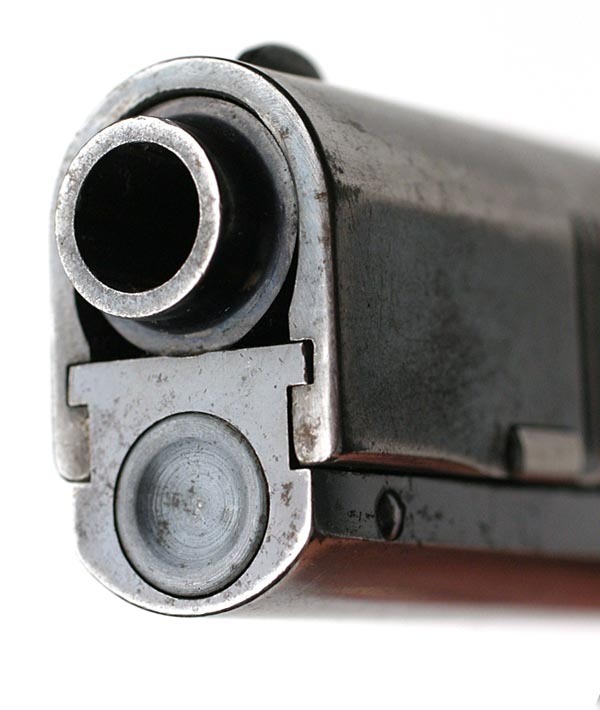 These guns lacked the slide lock and lanyard loop as seen on the 1902 Military Model. 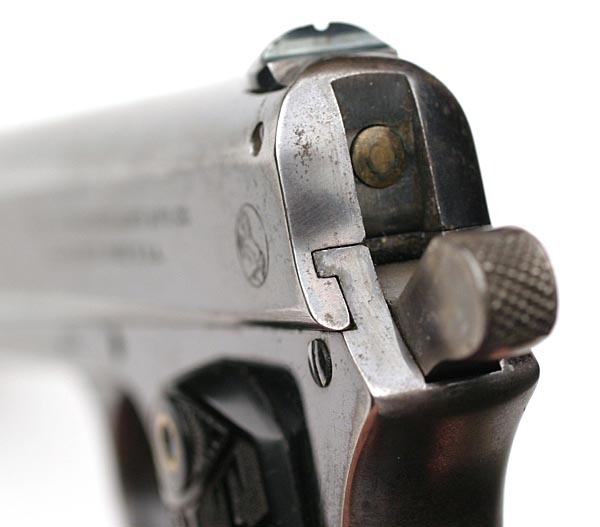 Close-up of front milled slide serrations. 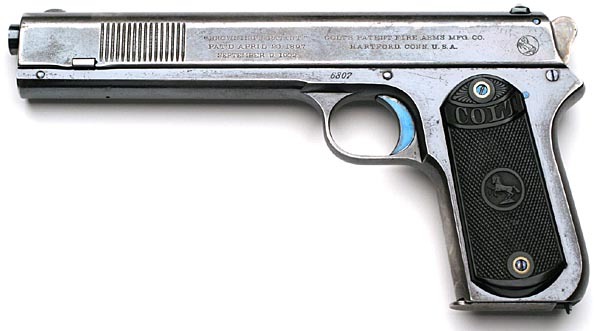 Notice the small takedown hole in the bottom of the frame which was carried over from the Model 1900. 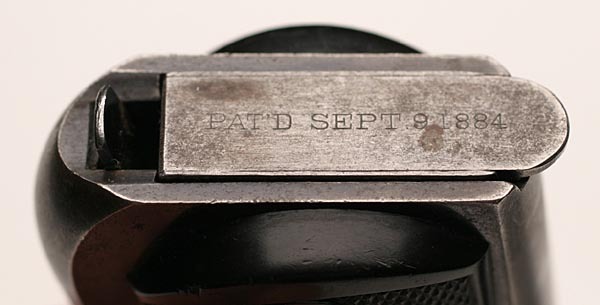 Close-up of the right side slide markings.